Hi CGTV, just letting you know that I am heading to New York City tomorrow. After doing 3 students films, 5 national commercials and a webseries, I have now also signed with a manager. Tomorrow I have an audition in NYC and I’m meeting with the first of three agencies (meeting with one each day from Monday thru Wednesday). My manager would like to get me into TV and film. I just wanted to thank you for everything you taught me. Wish me luck and I will let you know how it goes! 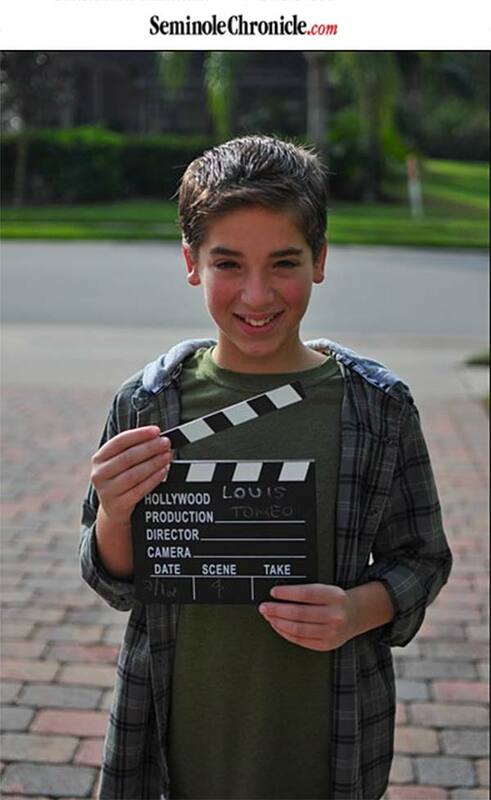 Louis Tomeo takes to small screen in ‘Every Witch Way’ developed by Nickelodeon. The seminole Chronicle writes an article about Louis Tomeo is his development with the Karen Greer Models and Talent, LLC. It’s not uncommon for children to grow up watching TV shows on Nickelodeon, and 11-year-old Louis Tomeo is no exception. But when he tuned in to the channel last week, he didn’t watch just any old show – he watched his own show. Tomeo, an Oviedo resident, is a cast member in Nickelodeon’s newest show, Every Witch Way, which tells the story of a teenage girl who moves to Miami and discovers that she is a witch. The children’s network debuted the show on Jan. 1. On the show, Tomeo plays Robby Miller, the younger brother of one of the lead characters, Daniel Miller. Robby and the two youngest Miller siblings are known as the “Terrible Three,” or the T3, and Robby leads them into various schemes and builds contraptions that don’t always work. This is the first TV show that Tomeo has appeared in, but it’s certainly not his first foray into acting. He has also appeared in a few short films and national commercials for AT&T and Head & Shoulders. Originally, Tomeo was discovered while attending CGTV, which is run by Adrian R’Mante, a graduate of the University of Central Florida and a former leading cast member from The Suite Life of Zack and Cody. A local agent spotted his talent and recommended him to a friend who manages young actors and models. That agent is Karen Greer, owner of Karen Greer Models and Talent, LLC. Greer has also been an agent for young stars such as Bella Thorne, Victoria Justice and Bailee Madison. Greer had met Tomeo at the acting camp and saw that he had that X factor. After becoming his agent, Greer quickly secured a role for Tomeo in his first commercial. She was also able to get him an audition for a show that was being developed by Nickelodeon called Every Witch Way. Tomeo auditioned in Miami, but what he didn’t know was that auditions for the show were also being held in New York and Los Angeles. In the end, Tomeo still got the part and began filming the show in January 2013. He and his family, which includes his mom, Kellie, his dad, Louis Tomeo Sr., his older sister, Victoria, and his younger brother, Vincent, moved to Miami while the show was filming. The show was shot from January through May, so Tomeo had to juggle his schoolwork while filming. He said his school, Page Private School, was very supportive during that time and would FedEx the work to him in Miami. He also had tutors on set, so when he wasn’t working, he was studying. Overall, Tomeo worked a 12- to 14-hour day, six days a week and still managed to stay on the honor roll and was voted vice president of the Junior National Honor Society. But Tomeo wasn’t the only one juggling multiple responsibilities – his parents also had to juggle work and parenting their two other children. Tomeo’s older sister also got to see exactly how the show was made. She was cast as an extra for Every Witch Way and made appearances in the third episode. Tomeo said that both Victoria and Vincent have been incredibly supportive of his work. “My brother and older sister have been really supportive – they’re not bitter at all,” he said. His agent and his manager have also been incredibly supportive and both of them said that they enjoyed working with him. 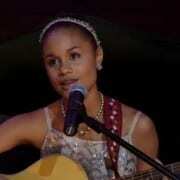 Good things could be on the way for Tomeo, who recently met and interviewed with a large talent agency in New York. Kellie said the interview went really well and that Tomeo is waiting to get his contract from the agency. He’s also waiting to hear if Nickelodeon will pick up Every Witch Way for season two. In the meantime, the family will continue to watch the show, which airs every weeknight at 7:30 p.m.